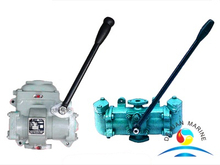 Our marine hand pump is designed to carry fresh water,fuel sewage and non-corrosive liquids,but not suitable for the liquids containing fibers or other solid granules. 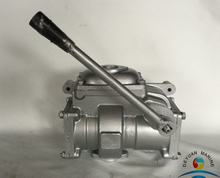 Hand pump is in double-acting reciprocating piston structure,Y type in the CS series pumps are used to draw oils or freshwater,H type is used to deliver sea water and sewage. I,III series hand pumps are used to deliver fresh water. 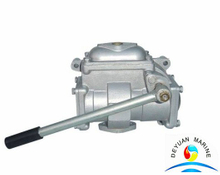 If you are interested in our marine hand pump,pls contact our sales team for more details.